Creating Community One Yoga Pose at a Time - Nature's Way®. For 50 years, Nature’s Way has been paving a better way to wellness and helping people live healthier. What better way to continue this mission than a multi-city yoga tour? We teamed up with Yoga Journal to bring wellness, connection, and conversation throughout the nation. The Live Be Yoga Tour is a 6-month road-trip across the U.S. with stops in 16+ major markets at yoga studios, festivals, and other unique venues. The 2019 Live Be Yoga Tour is in its 4th year with Yoga Journal. This year, the team is set out to expose the real dialogue that’s happening in yoga communities. The Tour will spur insightful dialogue through writing, imagery, and video — and we encourage you to join in! At each stop you’ll also get to meet Yoga Journal’s traveling yogis for a community centered class, gift bags, giveaways, and more! Find a city near you and join us as we continue to celebrate our 50th birthday and help create positive change in the world. Be sure to follow along on social, @natureswaybrands + @livebeyoga. For more details on how you can be a part of the tour, visit livebeyoga.com. 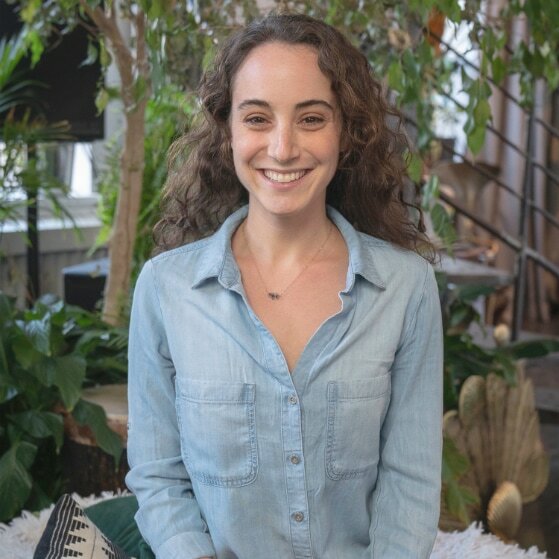 As a former dancer and competitive figure skater for nearly 15 years, Lauren has always been fascinated by the mind/body connection. At an early age she discovered movement as a form of artistry and self-expression, yet over time her love for performing and competing turned into a quest for perfection and external recognition. After she stopped skating, she was looking to fill a deeply rooted void, until she walked into a local yoga studio. She instantly felt a spark of magic manifest on the mat, leading to her 200-hour teacher training in 2011. Fast forward to present time, Lauren now has more than 500 hours with her teachers, Jason Crandell and Janet Stone. Aside from the Tour, you can find Lauren in San Francisco teaching at various studios. Brandon was introduced to yoga at a very young age, but he never felt particularly called to the practice until he realized he had lost everything he could. Hitting rock bottom proved to be a catalyst for deep healing, transformation and awakening. After working four years in the film industry Brandon found himself homeless, sleeping on streets and beaches for nearly a year. It was at that moment Brandon found his purpose and calling of yoga. Finding himself at a Kundalini Yoga Studio in Orange County, CA was the first day of the rest of his life. The studio owner became his mentor and a few months later Brandon found himself managing the studio and immersed in teacher trainings. 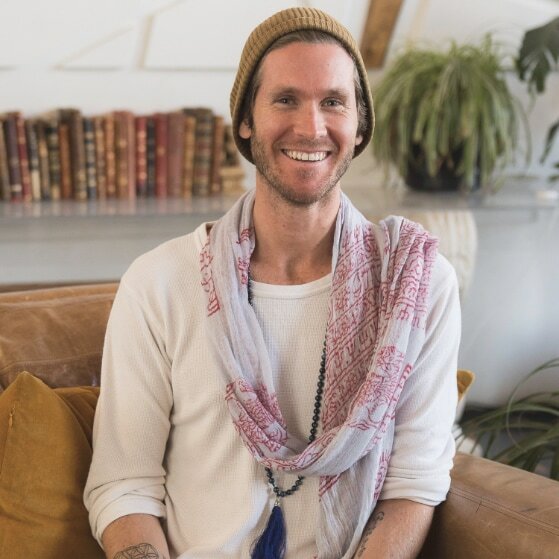 Brandon now travels the globe sharing Kundalini and Yin Yoga. His hope and mission are to inspire, uplift and help generate consciousness and awareness while offering students a practical approach to spiritual practice. on how you can join our birthday celebration.